Fort George’s 8th Birthday Party Not that you need a reason to head to the coast, but Fort George is celebrating its eighth birthday with Seattle rock band the Cave Singers! Fort George’s 8th Birthday Party Astoria, OR Not that you need a reason to head to the coast, but Fort George is celebrating its eighth birthday with Seattle rock band the Cave Singers! Portland Farmhouse and Wild Ale Festival Exclusive releases and special tastes of more than 70 of the freshest new beers. Portland Farmhouse and Wild Ale Festival Saravez Exclusive releases and special tastes of more than 70 of the freshest new beers. 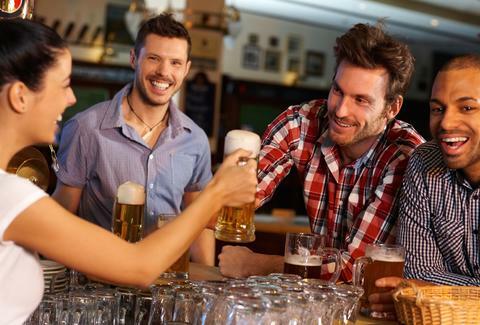 Spring Beer & Wine Fest The region’s best breweries, wineries, chefs, and chocolatiers are getting together under one roof. They’ll even have a big screen if you’re afraid of missing the Timbers and Blazer games! Spring Beer & Wine Fest Oregon Convention Center The region’s best breweries, wineries, chefs, and chocolatiers are getting together under one roof. They’ll even have a big screen if you’re afraid of missing the Timbers and Blazer games! Hops & Hops: Beer Dinner One of our favorite breweries, Breakside, is teaming up with Chef Dolich at The Bent Brick for a pairing dinner AND the release of four new beers. 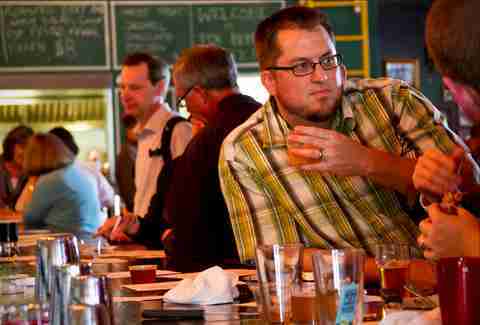 Hops & Hops: Beer Dinner Breakside Brewery & Tasting Room One of our favorite breweries, Breakside, is teaming up with Chef Dolich at The Bent Brick for a pairing dinner AND the release of four new beers. 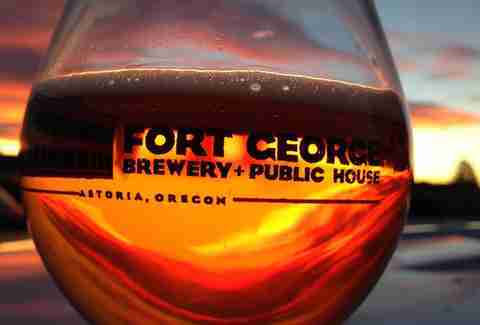 Fort George Tap Takeover From Monday through Friday Astoria’s lauded Fort George Brewery will take over all the taps at Lardo’s Hawthorne location. Expect a bunch of special one offs as well as your usual favorites. 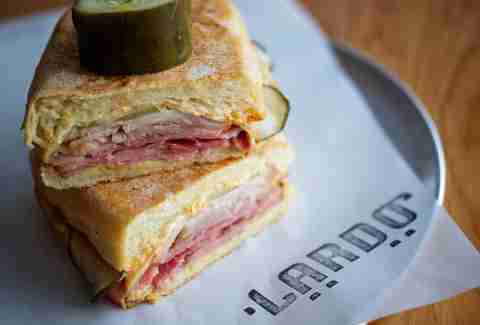 Fort George Tap Takeover Lardo From Monday through Friday Astoria’s lauded Fort George Brewery will take over all the taps at Lardo’s Hawthorne location. Expect a bunch of special one offs as well as your usual favorites. Migration Brewing & Craft Malting Guild Single Batch Beer Release Migration Brewing and the Craft Malting Guild are teaming up to showcase craft malts and craft brewing. The first 100 get free metal pint cups! 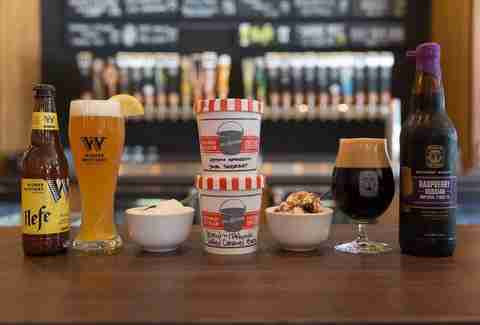 Migration Brewing & Craft Malting Guild Single Batch Beer Release Migration Brewing Migration Brewing and the Craft Malting Guild are teaming up to showcase craft malts and craft brewing. The first 100 get free metal pint cups! Brews & Beats Central Oregon breweries come together in Portland at McMenamins Crystal Ballroom for a night of great music and even better beer. Brews & Beats McMenamins Crystal Ballroom Central Oregon breweries come together in Portland at McMenamins Crystal Ballroom for a night of great music and even better beer. BEERGASM Boneyard Beer kicks off its first BEERGASM Fest at Rogue’s Green Dragon in Southeast Portland with 16 local breweries. BEERGASM Green Dragon Bistro & Pub Boneyard Beer kicks off its first BEERGASM Fest at Rogue’s Green Dragon in Southeast Portland with 16 local breweries. Upper Left Food & Brew 40 breweries and 20 chefs showcase their craft to support three local charities in this first annual event. Upper Left Food & Brew Velo Cult 40 breweries and 20 chefs showcase their craft to support three local charities in this first annual event. Beer Machines A steampunk ode to the craft beer revolution with a huge warehouse party! Beer Machines Pure Space A steampunk ode to the craft beer revolution with a huge warehouse party! 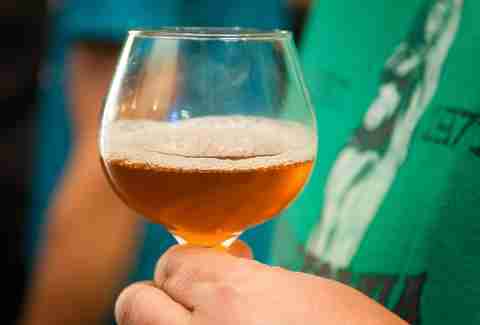 Cheers to Belgian Beers Back for its ninth year, Cheers to Belgian Beers celebrates those funky sours that are taking over our city. Cheers to Belgian Beers Metalcraft Fabrication Back for its ninth year, Cheers to Belgian Beers celebrates those funky sours that are taking over our city. Ecliptic Beer Mile Compete in a mile run that comes with a beer before and after! 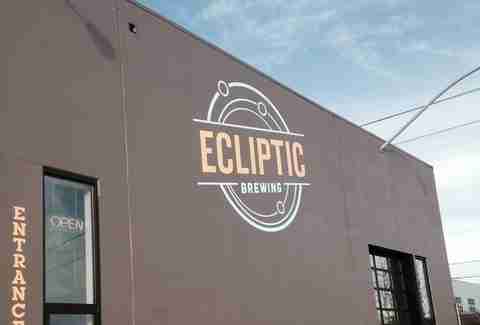 Ecliptic Beer Mile Ecliptic Brewing Compete in a mile run that comes with a beer before and after! Fruit Beer Fest The biggest celebration of fruity beer once again takes over the Burnside Brewing parking lot with more beers than ever before. Fruit Beer Fest Burnside Brewing Co. 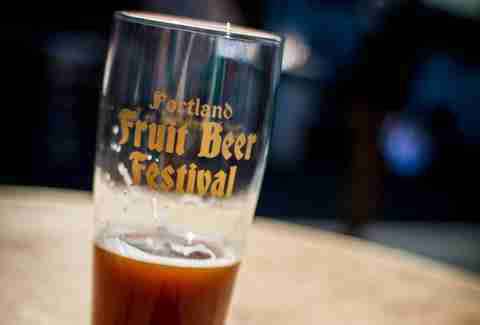 The biggest celebration of fruity beer once again takes over the Burnside Brewing parking lot with more beers than ever before. PDX Beer Week Pizza Schmizza is bringing back PDX Beer Week for ten days in June. Keep your eye on the website as more events are announced. PDX Beer Week Various locations Pizza Schmizza is bringing back PDX Beer Week for ten days in June. Keep your eye on the website as more events are announced. 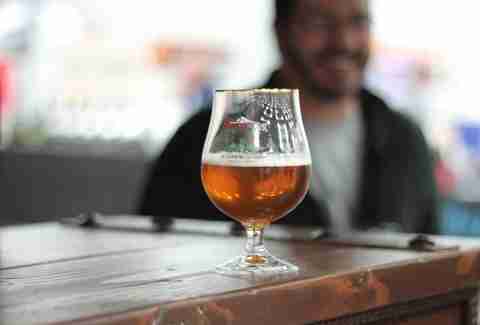 Rye Beer Fest Returning once again as part of PDX Beer Week, EastBurn hosts a collection of rye beers in a family friendly event (at least until 10pm!). Rye Beer Fest EastBurn Returning once again as part of PDX Beer Week, EastBurn hosts a collection of rye beers in a family friendly event (at least until 10pm!). Oregon Garden Brewfest The 11th annual brewfest at the Oregon Garden brings together 65 breweries and more than 130 beers in an 80 acre botanical garden. Oregon Garden Brewfest Oregon Garden The 11th annual brewfest at the Oregon Garden brings together 65 breweries and more than 130 beers in an 80 acre botanical garden.